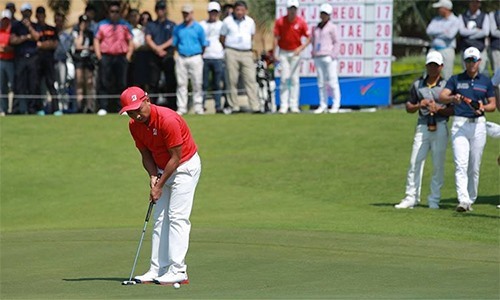 HÀ NỘI — Vietnamese golfer Lê Hữu Giang won the Việt Nam Professional Golf Tour (VPG) 2018, which concluded on Sunday at Long Biên Course. Giang, a three-time national champion, finished 10 over par after four rounds. He came from behind after being led by South Korean golfer Kim Jin Cheol by one stroke. Giang’s teammate Văn Định finished second at +11, followed by Kim at 18 over. Giang collected $3,837 in prize money, while Định got $1,662. “This was a match with so much emotions,” said Giang. “I lost focus sometimes, but soon regained determination after being chased by Kim. I was lucky I did not make mistakes in decisive moments like previous rounds,” he adds.